Not sure you want to adopt-a-lawn for the season but still want to help? The “Mower Brigade” may be a good alternative for you! 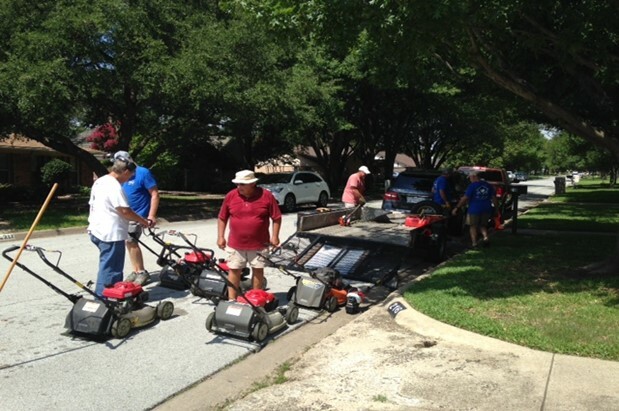 A team of Volunteers (fondly called the “Mower Brigade”) meet each Wednesday morning during the growing season to load equipment and mow multiple Client lawns that have not been adopted by a Volunteer. You can sign up to receive weekly Brigade emails and participate as your schedule permits. Contact Emily at the MCCC office 817 281 0531 for more details on this program.